Bisakol (portmanteau of Bisaya and Bikol) refers to the transitional languages in the Central Philippine language family, between Visayan languages and Bikol languages. 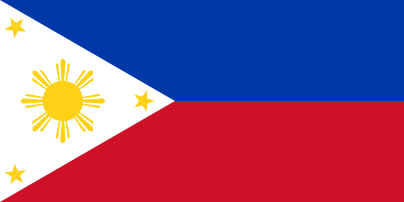 They are usually classified by linguists as Visayan languages with a great deal of Bikol influence. These languages are spoken in the Bicol Region and include Sorsoganon, a group of Warayan speech varieties of Sorsogon, namely Central Sorsogon (Masbate Sorsogon) and Southern Sorsogon (Waray Sorsogon). Distinct Bisakol dialect is spoken in the municipalities in Southern Sorsogon. They are the municipalities of Matnog, Gubat, Bulan, Irosin, Sta. Magdalena, Barcelona and Bulusan. These Bisakol languages are closely related to the Waray spoken in Northern Samar and especially the island of Maripipi in Biliran. Masbateño of Masbate is closer to the languages of Panay, Capiznon and Hiligaynon. It still has had Bicolano influence since it is in the Bicol Region politically and geographically. Despite its name, Masbate Sorsogon is closer to Waray than to Masbatenyo, but this coast of Sorsogon Bay where Masbate Sorsogon is spoken has had a lot of contact with Masbate Island. Romblomanon too is also considered as a Far Variant of Bisakol due to its proximity with the Islands of Panay & Masbate. ↑ Hammarström, Harald; Forkel, Robert; Haspelmath, Martin; Bank, Sebastian, eds. (2016). "Masbate–Sorsogon". Glottolog 2.7. Jena: Max Planck Institute for the Science of Human History.